Among other things, running an online business needs focus and vigilance. And, there are things you need to be aware of. Did you know that the three biggest banks in America make over $6 billion a year on overdraft, ATM and other bank fees? This was reported by CNN Money, and SNL Financial recently. An overdraft occurs when you don’t have enough money on your account to pay for purchases. The bank lends you the money, then charges you a skyrocketing fee which often translates to $34 per transaction. Now, if you overdraw your account, say once a month, and pay immediately you’re losing $408 a year. That’s a lot of money for a struggling online internet business. So, how do you avoid overdraft fees? There are ways to avoid this killer fee. This fee is so obvious and so seemingly like an “everyday happening” that people take it for granted. But, do you really need to pay through the nose for it? 1) Say no to overdraft protection. Believe it or not the word protection makes you feel safe. The thought that you are protected makes you feel as if you got the license to not think about budgets or limits. But, it’s actually like pointing a gun at your head with the safety on and daring yourself to go ahead splurge! Anyway, the safety is on. However, when you overspend you actually turned the safety off without even thinking about it. Protection made you do it. Then, you got hit by an overdraft fee. Just opt out. This way, there’s no possibility for you to overspend because your purchases will simply be declined. So, to avoid the embarrassment of being refused at the check-out counter you just need to keep track of your account balances. 2) Link your accounts to allow transfers. To avoid the embarrassment of being declined at the cash register, link your debit card to your savings, credit card, or credit line. If you overdraw, your bank will take money from your other accounts to cover the cost. You may still pay a fee – about $10 – but, still much less than the $34 overdraft fee. 3. Sign-up for alerts to avoid overdraft fees. Let your bank do some extra work for you. Sign-up for email or text alerts to let your bank tell you when your balance gets low. You can even set-up a spending limit on purchases and let your bank tell you that you’ve exceeded your spending limit. This way, you’ll never be surprised. Another one of those bank fees that tend to get overlooked because of being obvious is the ATM fee. If you withdraw money from an out-of-network ATM , say once a week, (this normally happens when you go out of town) and pay the average $4.35 each time, you could rack up $226 in ATM fees a year. That $226 might really be handy come Christmas. Did you ever think of that? If you own an online business you don’t have a lot of resources. Every dollar counts. An ATM fee is what you pay when you get cash from an out-of-network ATM. Do these 3 things to avoid it. 1) Get cash back at the store cash register. This fee-free option is available at most drugstores and grocery stores, and even at the Post Office. You could even get as much as $100. The next time you buy office supplies, you could get a cash back. 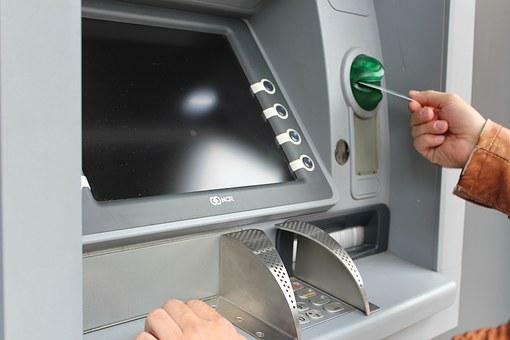 2) Make hefty withdrawals from you bank’s ATM to Avoid ATM Fees. Most people often think only of the money in their debit cards. The balance gives them an assurance that they have enough and they tend to overlook the fee. Then, of course there’s that inconvenience of looking for an ATM when there seems to be none for miles around. This makes it necessary to always have money in your wallet. When you plan on going on a trip, withdraw from your bank’s ATM. And, make it a habit to always have a hefty cash balance in your wallet. You can never tell when you need it. 3) Get your money back. Some banks will reimburse you for fees charged at out-of-network ATMs. You could get a maximum of $10 to $20 back for each statement cycle. Just ask. They won’t tell you till you ask. There are other bank fees lurking in your bank statement which you may have overlooked. Sad thing is, most people don’t even bother to read the fine print. The banks intentionally make the print very, very fine so that you wouldn’t bother reading it. But, it pays to read it. If you need to use a magnifying glass to read the fine print, do so. Here’s another “need to know” for online business operators. In case you haven’t notice, banks seem to have a surcharge for most everything – human teller fees, returned mail fees, etc. Here are other fees (highlighted) you may not be aware of, and how to avoid paying them. 1) Maintain the minimum account balance requirement to avoid maintenance fees. The average maintenance fee for a checking account is about $13.29 per month. You can avoid paying this fee by maintaining the minimum balance requirement, or by signing up for another service, like direct deposit. A lot of people are not even aware of the minimum balance requirement, and are surprised when they get hit by the fee. 2) Sign–up for online account statement. Banks normally charge a $3 fee for printed statements that they mail to you. The best thing to do is to give up paper statements entirely. You can ask your bank to email you when your statement is ready. Then, you can login to your account and read your statement online. You could save $60 a year if you do this. Saving a little could mean a lot. 3) Cut back on withdrawals to avoid over the limit bank fees. It’s your money so you think you can withdraw money from your account as often as you like for free. Think again. The most common withdrawal limit is six times per statement cycle. After that you pay a fee of $10 each time. If you go over the limit just once a month, you are looking at $120 a year in fees. Get into the habit of taking out more cash every time you withdraw. Manage your expenses so you don’t make frequent withdrawals. 4) Make your account active. If you allow your account to stay idle for 60 days you could get slapped with an account inactivity fee ranging from $3 to $12 a month. This fee is applied to your account 60 days after it stayed idle. So, if you didn’t make a withdrawal or make a deposit in one year, even when you are maintaining the minimum balance requirement, you could end up paying $36 to $144. 5. Watch out for and avoid the sneaky foreign fees. If you are in the habit buying items online from other countries, be wary of currency conversion fees. For example you bought a cashmere sweater from France, expect to see an extra charge on your statement. The fee for converting a foreign currency to US dollars is usually 3% of the value of the transaction. And, there may be another shocker about to hit you. For using your bank’s credit card or debit card online to buy something from a company that simply processed the transaction in a foreign currency, you also get hit by another fee. Let’s say you bought cosmetics from an Italian company that has stores in the US. If the company processes the transaction through an Italian bank, you could end up paying an international transaction fee. Check out the terms and conditions about payments on the website of foreign companies operating on US soil. You may think that one fee item is small and nothing to be concerned about. But, these fees could add up to thousands of dollars in a year and could catch you unaware. Forewarned is forearmed. It’s always good to know about these things.